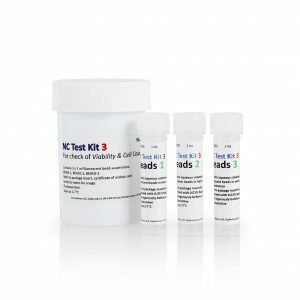 The NucleoCounter® NC-3000™ test kit 1 consists of one bottle of OQ test beads type 1, one pack of Via1-Cassettes™ (10 cassettes) and one box of NC-slide A2™ (25 slides) to verify the functionality of the NC-3000™, also an OQ test plan containing information about the tests to be performed on the instrument. 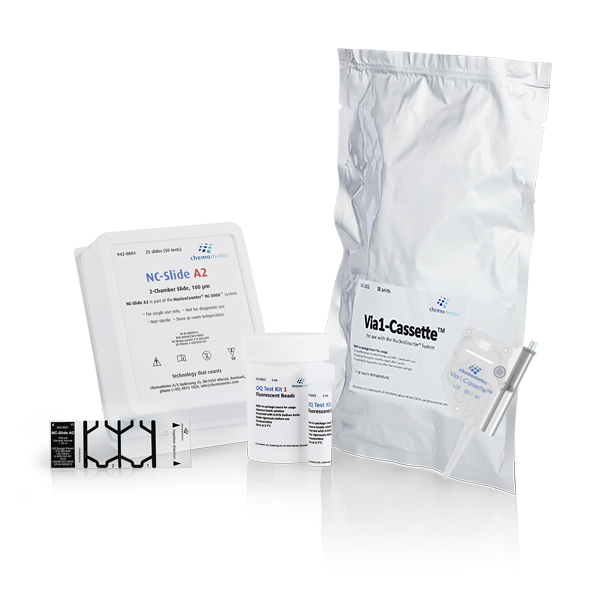 To be used for installation operation qualification (OQ) check of the NucleoCounter® NC-3000™. OQ is used to validate the instrument’s operational qualities. The OQ is a test process that establishes that the functionality of the instrument is in accordance with the specifications.